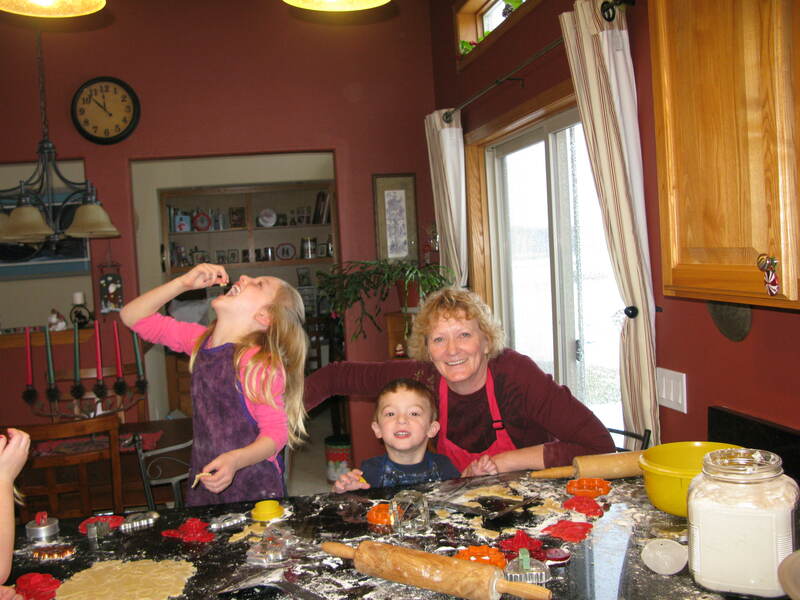 Next weekend three of my grandkids will be coming to my house to make and decorate Christmas cookies. This is always so much fun. I have the pictures to prove it. Each year they get better at it. We don’t make a lot, just cut outs. This year I figure the nine and half year-old should be able to roll out her own dough. The other day the four-year old told me I would have to teach him how to make cookies again because, “I just can’t remember how.” He can be such a worrier. Having my daughter help is a hoot, too. 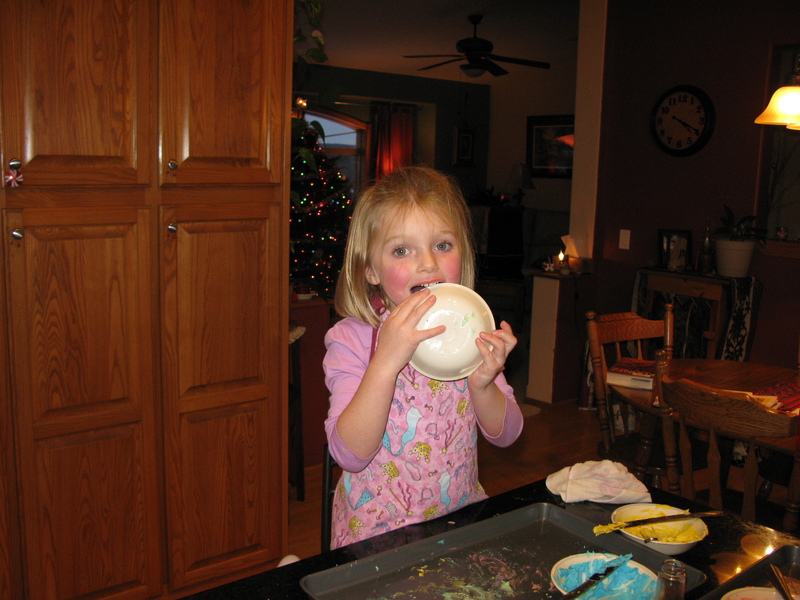 I remember starting her making cookies when she was eighteen months old. More dough, sugar sprinkles and frosting went into her mouth than on the cookies. Things haven’t changed as that is what it is like with my grandkids. Watching their excitement. 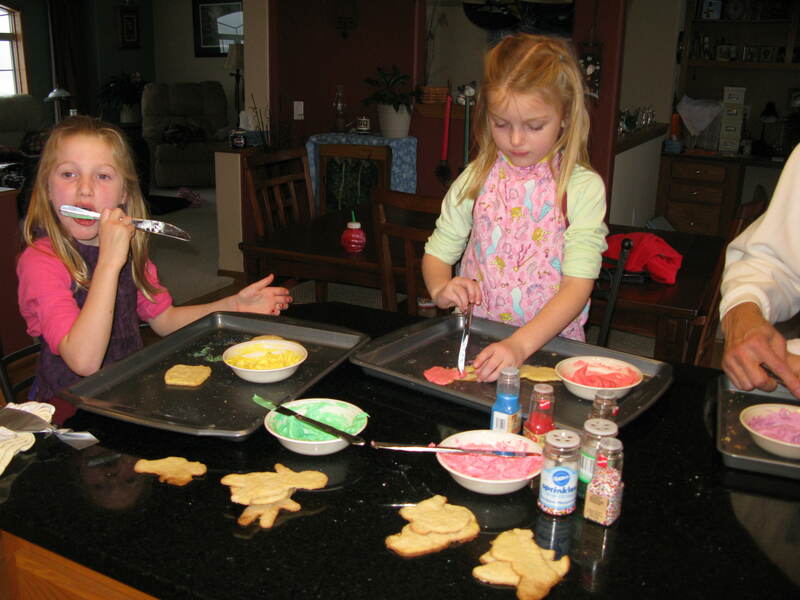 Seeing how they changed year after year with making and decorating cookies. I’m not sure if he’ll make it here this year or not, but I usually get my bachelor brother-in-law helping the kids. He gets a kick out of it. Uncle Ed needed to be a little more hands-on. Yikes, that’s a lot of sugar! 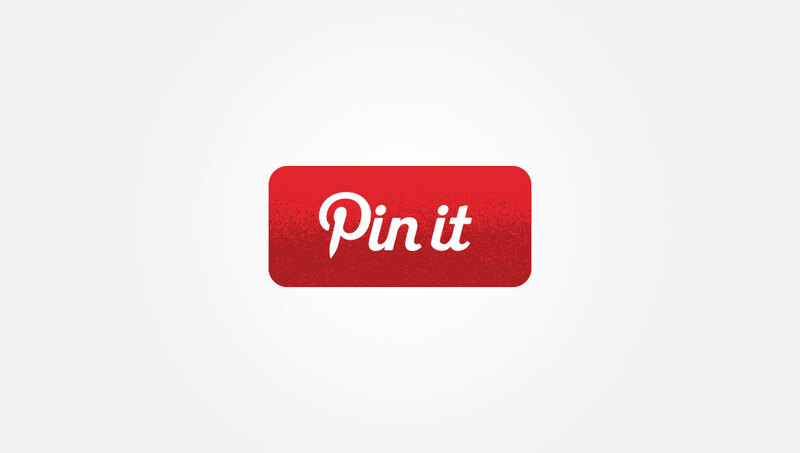 When I was a little girl, we’d spend days making and decorating cookies and bars. I can’t even remember how many different kinds we made, but my mother had the patience of a saint with all of us working in this tiny kitchen with no running water. At one time there were five of us crowded around the table. By the time the youngest two were old enough to help, the oldest had left home. We made such a mess. We sang Christmas carols, and I’m sure we probably fought a lot over who used which cutter, who used too much sugar or coconut. My mother had this great recipe (which I still use) for sugar cookies. Our cookies cutters were many and varied, but there were four in particular that took a lot of time to make – a Santa, snowman, stocking and a sleigh. After cutting them out, we had to press the dough into the cutter to make the design of the cookie. 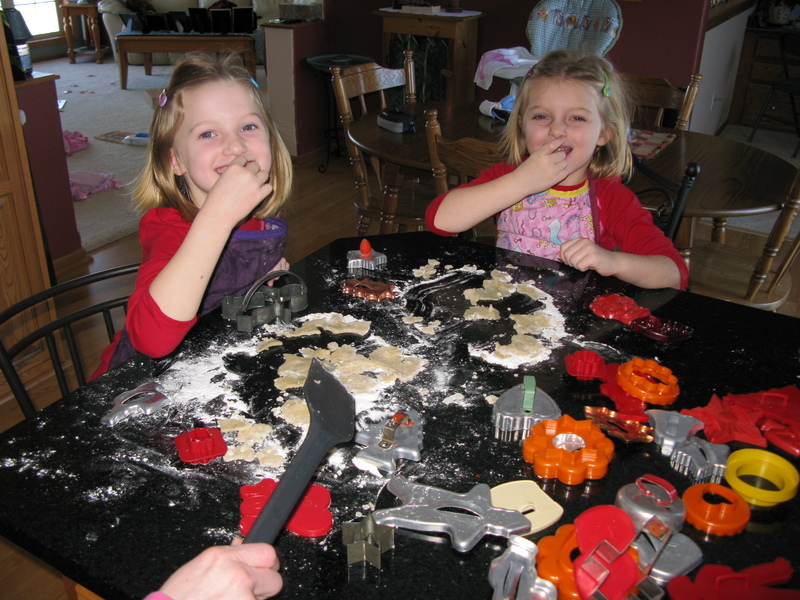 I can still hear the slam the cutter on the cookie sheet as we tried to get the dough onto the sheet. Someone usually cried when a piece broke off their prized cookie. The real work started when the cookies were done baking. No simple frosting and sprinkles for my mother. We cut raisons in half for eyes, painted egg white and sprinkled on colored sugar for hats, scarves, toes for the stocking, etc. Frosting was painstakingly spread on Santa’s hat and beard then covered with coconut. 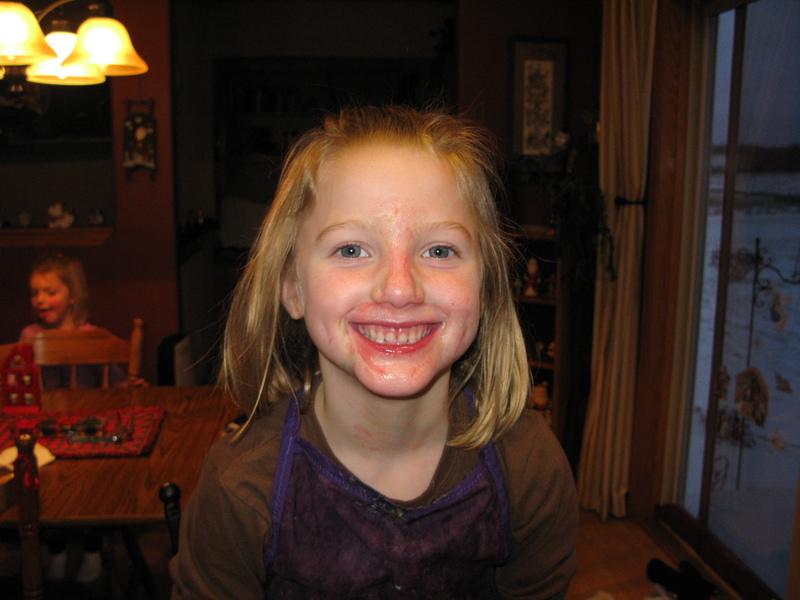 He had rosy cheeks made from egg white and red sugar. Frosty’s scarf and mittens were decorated. 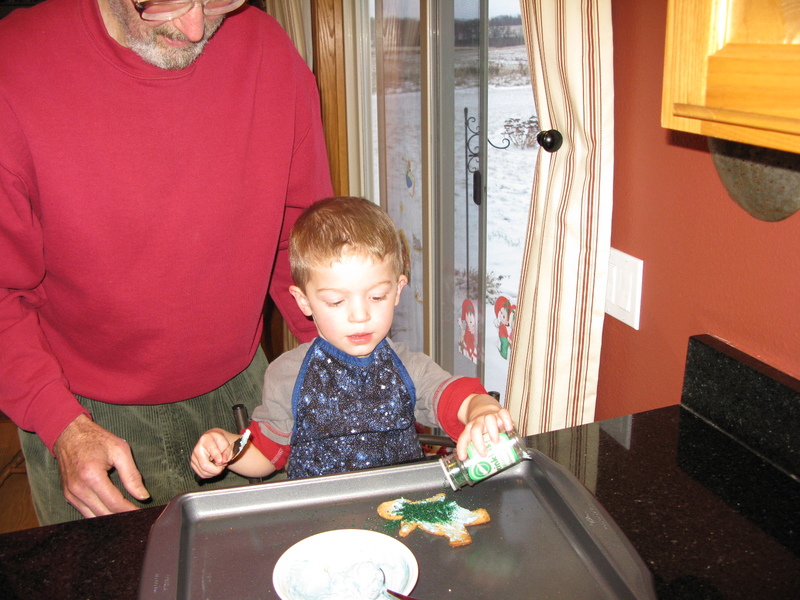 By the time we were done, the cookies were a work of art – anyway to my child’s mind. Looking back, I think my mother used this as a way to keep a bunch of kids occupied for days when it was too cold to go outside. Fond, fond memories. Yesterday, my nine-year old granddaughter asked me what Christmas cookies we were going to make. She seemed to stress the “s” on the end of the word cookie. Cookies? Like more than one kind? We usually only make sugar cookies on one day and frost them the next. I have the same cutouts we used as a child, but we will not be cutting raisons, nor using egg white or coconut. I just whip up a large batch of white frosting, we slap it on the cookies and then use sprinkles. On the fly, I told her we would also make Spritz cookies. This started a barrage of questions for the three kids about what they were, how they were made, if they all would get a turn, etc., etc., etc. So in a few short days my house will smell like Christmas cookies. The kids will be giggling. I’ll totally ignore the dough and sprinkles ending up on my floor, and figure not much will get eaten for supper after the dough and frosting they will eat. 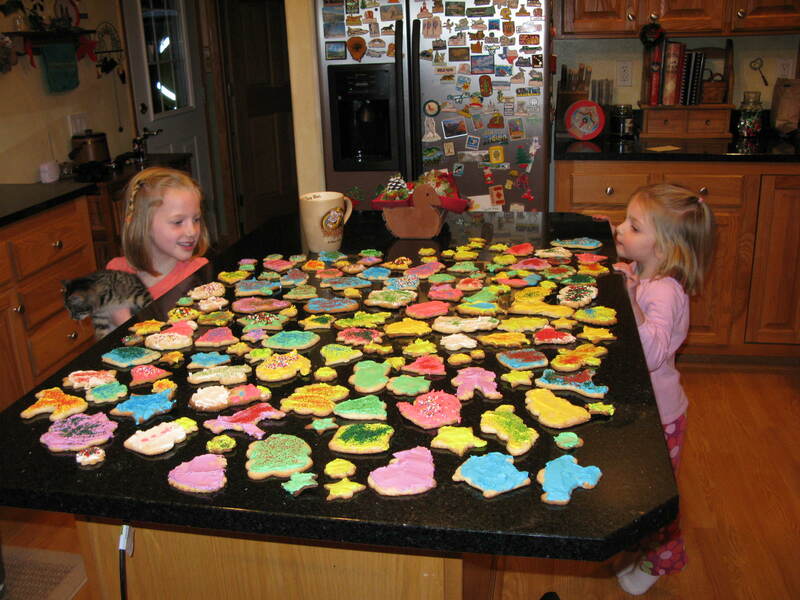 Their faces will be smeared with frosting and their fingers dark from licking them in between using the colored sugar. My counters will be filled with odd-shaped cookies covered with frosting thick enough to make even the biggest lover of sugar want to gag. Oh, but the fun we’ll have. Fond, fond, memories.